Who’s ready for a drink?? With only four days til Christmas, I am feeling the pressure!! Nothing better than winding down with a good holiday drink to relax and unwind before the craziness really sets in. 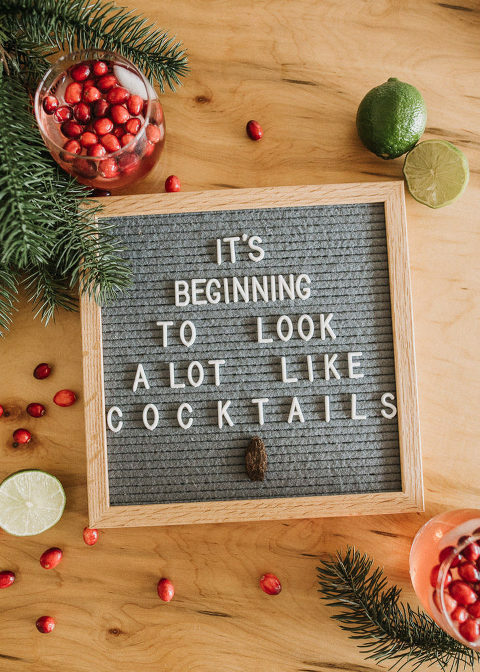 Today I’m sharing with you, an amazing drink recipe that is not only great for the holidays, but all year around. In November, Eric and I got the chance to sneak away for a few days and head to Gatlinburg, TN with some friends. If you know anything about Tennessee, they’re pretty big on their moonshine. I was hesitant to try some, because I’m not a very heavy drinker, and when I think of moonshine, I think of a really strong drink. My husband on the other hand was ALL about it. 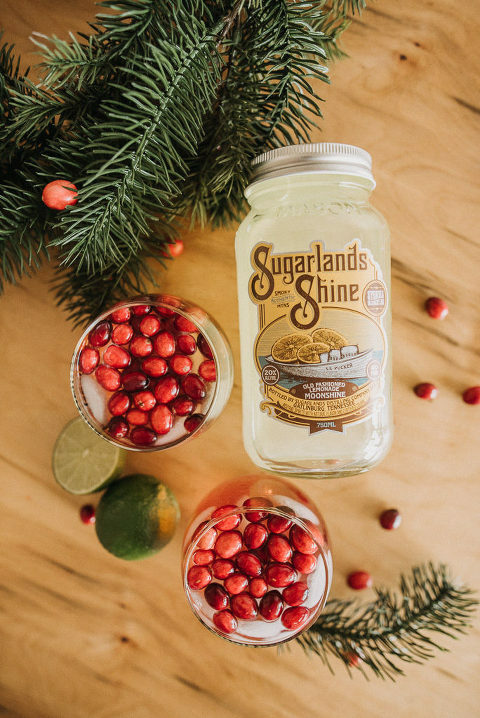 We got the opportunity to go into Sugarlands Distilling Company, and try out a sampling of some of their moonshine. It was such a fun experience! What’s unique about this particular distillery is that there is a cocktail sampling bar in the back. They make all of there cocktails with the moonshine. I loved how it gave me an idea of what else I could do with the moonshine besides just drinking it straight. I tried their cherry limeade with the lemonade moonshine, and it was phenomenal. It was so refreshing and flavorful, and you couldn’t really taste the alcohol at all. I grabbed a bottle of the lemonade moonshine to take home, along with a few others, because I knew I had to have that again. Holiday drinks are some of my favorite, but sometimes I think you can kind of get sucked into the same general holiday flavors, like cinnamon and all that jazz. I wanted to try something different this year. I knew I could do something unique with that lemonade moonshine, but still drink it around the holidays. Sugarlands has an entire section of their website dedicated to different cocktails you can make with their moonshine. I found this delicious refreshing recipe for their Sugarplum Lemonade and knew that was the one. For some reason cranberries and alcohol is one of my favorite combos. I’m not really sure why, but then add in the lemonade, sparkling grape juice, and lime flavors. Oh my word, you guys! HEAVEN! And what I love most about this is that you could buy an entire bottle of this lemonade moonshine and use it all year around. It’s also phenomal just over ice! Some of my other favorite Sugarlands moonshine flavors are the Dynamite Cinnamon (like fireball, but smoother), which also tastes amazing mixed with the Apple Pie. The Butter Pecan sipping cream tastes amazing in coffee or hot chocolate! And for all the basic white girls, there’s even a Pumpkin Spice sipping cream. YUM!